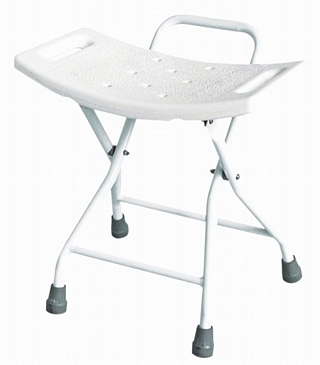 This space-saving Folding Shower Chair is an ideal solution if space is at a premium. 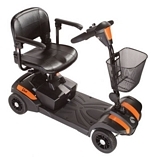 The steel tube frame is powder coated to prevent corrosion and the anti-slip rubber feet aid safety and stability. The blow molded HDPE seat has been designed with built-in handles and drainage holes. The chair folds easily for storage.